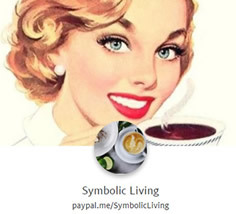 If you'd like to make a contribution to Symbolic Living you can send a Tip via PayPal Here. Thank you! Thank you so much for your readership and for sharing this site with your friends and followers on your social networks.